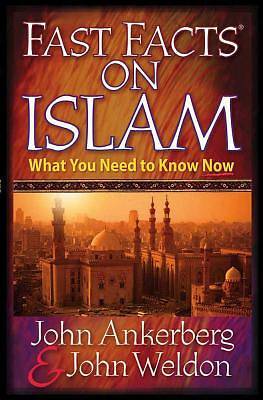 Authors John Ankerberg and John Weldon know just the questions readers are asking about Islam, and they provide brief, incisive answers. Using their unique Q-and-A style, Ankerberg and Weldon reveal who Muhammad was and how Islam got started, what Muslims believe about God, the relationship between Christianity and Islam, where the Qur'an came from, and how Islamic beliefs are related to recent acts of terrorism. In what sense is Islam a religion of peace? Does the Qur'an support the doctrine of jihad--"holy war"? How do Muslims view the U.S. and Israel? What basic problem does the Qur'an present for Muslims? Do Muslims believe in Jesus Christ? How should Christians share the gospel with Muslims? More than just a listing of well-researched facts on Islam and Muslim beliefs, Fast Facts on Islam will provide readers with insight into present events, and will help them comprehend of one of the world's great religious and political powers--in light of the far greater power that lies within them, the power of God through Jesus Christ.